Today we’re moving from York to…LONDON!!! Pete and I allotted one of our two weeks in England to spend in London, and I still don’t feel like it was enough time. There are ENDLESS places to visit in London. We managed to see everything we HAD to see, but certainly not everything we had on our list. I vow to return! London is an incredible city, and one of the coolest places I’ve ever been to. Top-notch museums, attractions, markets, boroughs, and incredible restaurants abound in England’s capital. I can’t say enough, what a great place. This post originally tried to cover all of London, but as you might expect, it was a VERY long post. So, today will be dedicated to food only. In my next post I’ll tell you about what we visited and where we stayed. 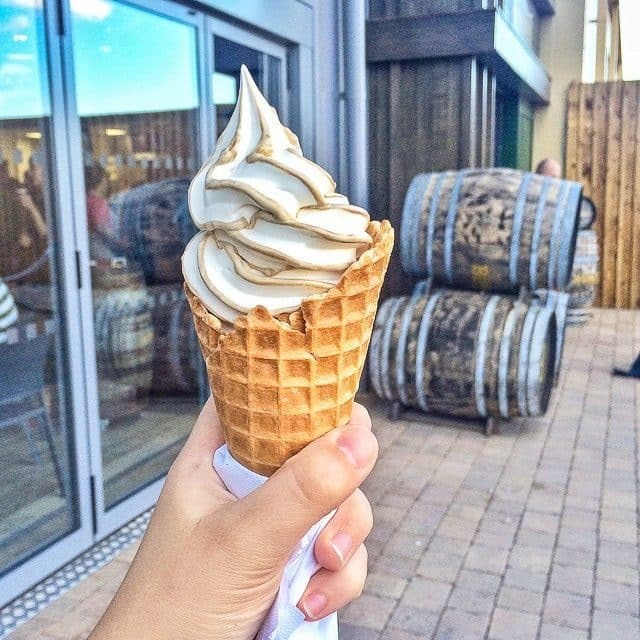 (Butterbeer ICE CREAM!!!! From the Harry Potter Studios. My husband and I shared a cone, fought over it too much, so had to get another one. SO GOOD). (Holding some sort of wonderful spinach and cheese flaky pie at Borough Market). 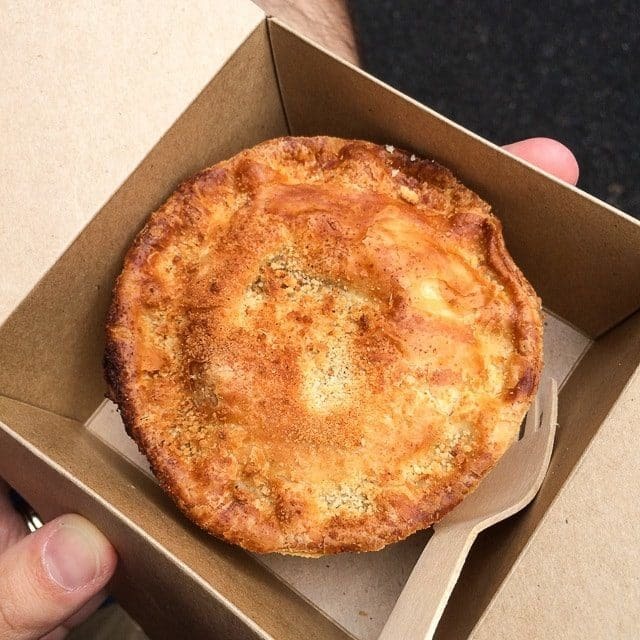 (A pie from the PieMinister at Borough Market. Make sure you don’t miss their booth. One of the best savory pies I’ve EVER had). 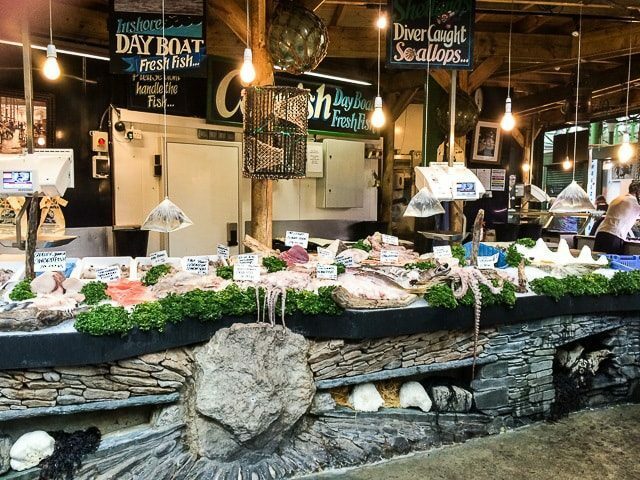 (A seafood stop at Borough Market. I swooned). Lima – SPECTACULAR. One of our favorite meals in London. It has a Michelin star and while it’s definitely a splurge, it was 100% worth it. The type of food is Peruvian, but with a ton of technique and beautiful presentation. Look at the beautiful octopus above! We also loved the Corn Cake, Paiche Amazonian Fish, and Beef Pachamanca. We thought dessert was more interesting than good, though we picked the bold desserts. We had the Chirimoya Mousse and Lucuma Fruit Ice Cream. Dishoom – I ate here TWICE while I was in London. TWICE! I never do that. It was just that good and I wanted it again before we left. 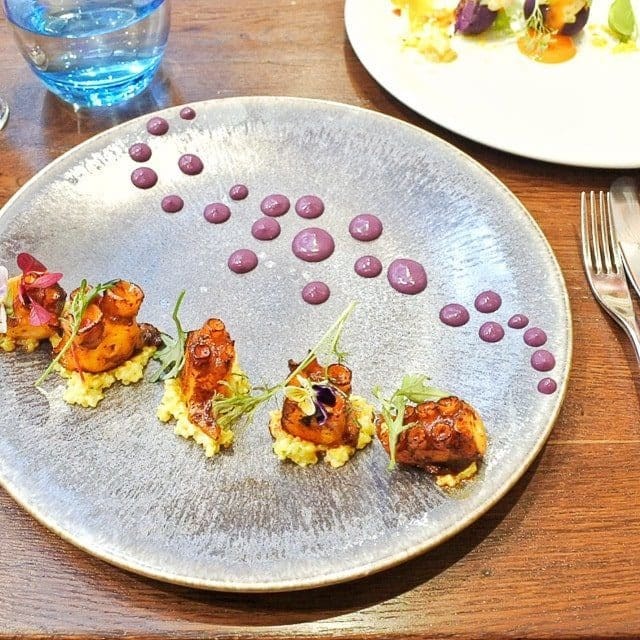 It’s Indian food like you’ve never had before. Even my husband, who says he doesn’t like Indian food, enjoyed everything we ate. I recommend the Vegetable Samosas, Okra Fries, Calamari, Mattar Paneer, Chicken Ruby, Black House Daal, and Chicken Tikka, with the Memsahib’s Mess for dessert. Oh, and the Chocolate Chai and Bhang Lassi were also very good for drinks. Seven Park Place by William Drabble – Also a Michelin star restaurant, and just as amazing. It felt very white glove service and the food was intensely flavorful, beautiful, and satisfying. Ottolenghi Notting Hill – WOWWWWWW. Yotam Ottolenghi is my new hero, and I just ordered one of his cookbooks because his food blew me away so much. This is a deli-style place so you just pick out what you want and they put it together on a plate or in a takeout container. Everything we had was amazing. Pete and I originally ordered a plate to share, then got a second plate. Enough said. NOPI – Another Ottolenghi establishment, but as a trendy upscale restaurant. This place is more pricy than Ottolenghi, but has different food. Not to be missed! I loved my passionfruit drink, the aubergine, and courgette fries. Ask the staff for their favorite recommendations, too. They won’t steer you wrong! 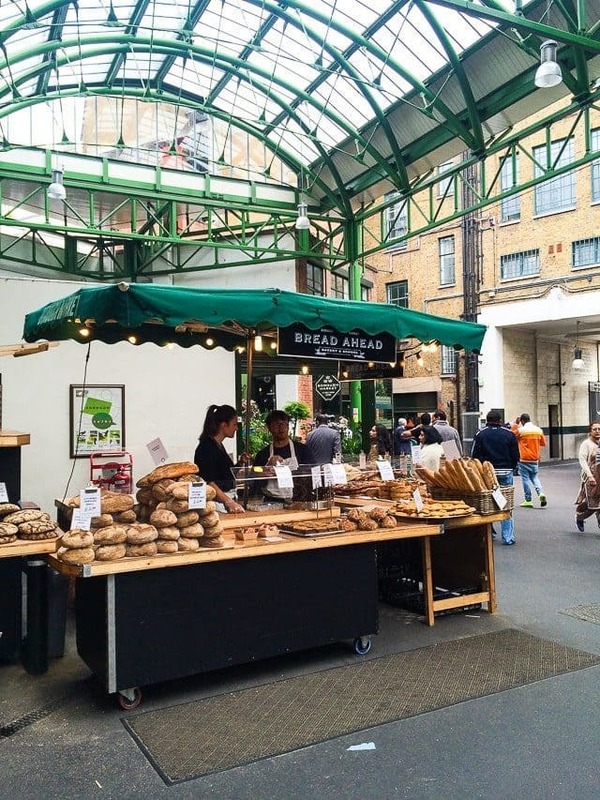 Borough Market – DO NOT MISS. It’s a little out of the way, though if you pair it with the Tower of London, St. Paul’s Cathedral, or the Tate Modern; it’s all in the same area. This place is a collection of booths/food vendors and everything we tried was delicious. Let your appetite be your guide here. Highlights we enjoyed were the Salt Beef Sandwich (photo above), Baklava, PieMinister, and Cornmeal Cake. 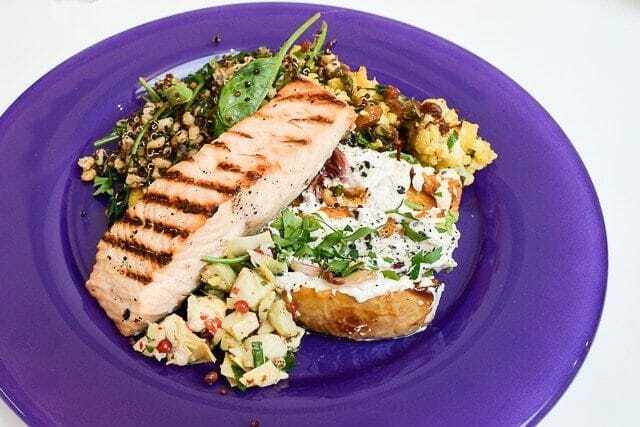 Bread Street Kitchen – AVOID. Probably the only place we regretted eating at. We were hungry and didn’t have any internet to look up any local restaurants, so we figured that being one of Gordon Ramsay’s restaurants, it would be decent. Wrong. The food was tremendously expensive and it downright sucked. Bo Drake – A nice option in the Soho part of town. 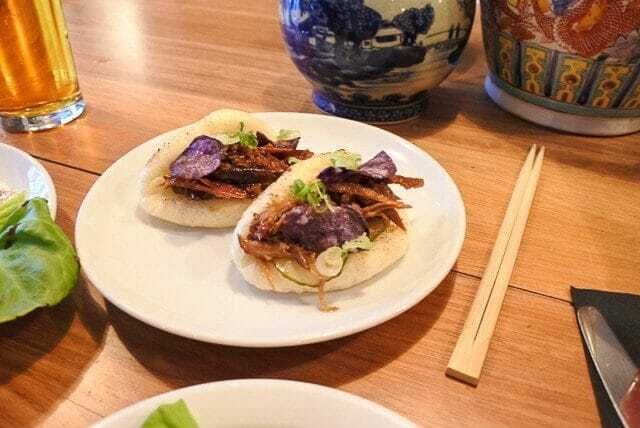 We had a bunch of small plates that we enjoyed, including tasty buns (pictured above), Asian ribs, and the Sesame Soft Serve for dessert. Monmouth Coffee (Covent Garden) – Amazing pastries and coffee. Someone who lives in London told me to go here and I’m so glad I did. Get the brownie and a cappuccino. Pierre Herme – Okay, Pete and I went here twice too. 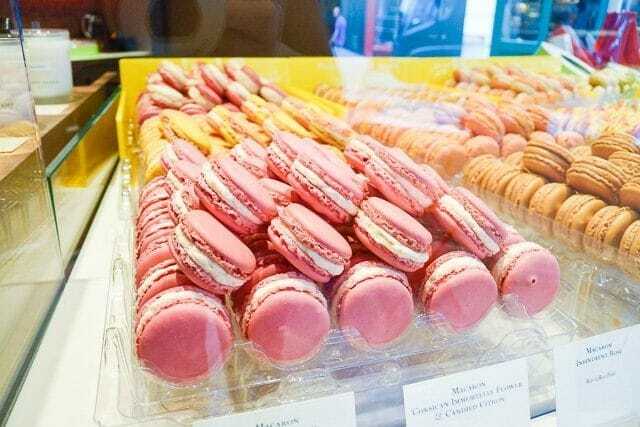 I screeched when I happened to walk by the place because I practically worship Pierre Herme. 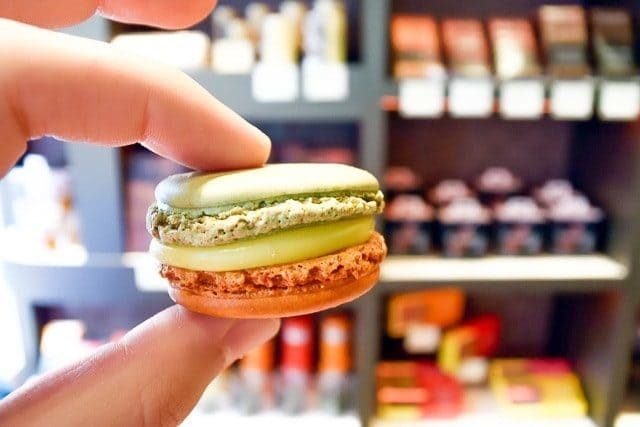 Get any of his macarons and you will be transported to Cloud 9. Also, if you try his new ice cream, let me know how it is. We missed it by a few days. Pearl Liang – We ended up here mainly because it was late, was somewhat close to our hotel, and had decent ratings. I don’t recommend going out of your way to eat here, but we had some good dishes here. Some of the dishes were questionable though, and were left on the table mostly uneaten. Mixed bag. Battersea Pie Station – This is a great place to stop for a quick bite. They have all sorts of delicious pies, with a wonderful flaky crust. Alright friends, that’s it for the food in London! There will be more food covered when I take you to Bath, Oxford, and the Cotswolds. In the next post I’ll share all the spectacular sights to see in London. Until then, cheers! (Cheers is what British people say. Hehe). What an incredible experience! 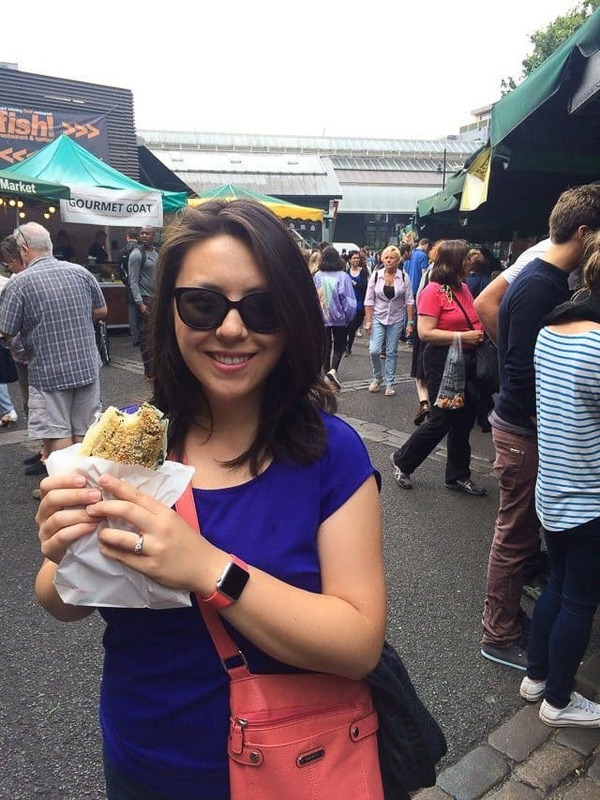 I went to London right after graduating from college, about 7 years ago, but I was not as much of a foodie as I am now (gasp!) so I did not experience London the way you did. Now, I MUST return! There was SO much incredible food. I was blown away! So glad you and hubby are having a great time!!! That looks like an amazing trip, love your pictures! I’m drooling over this post! 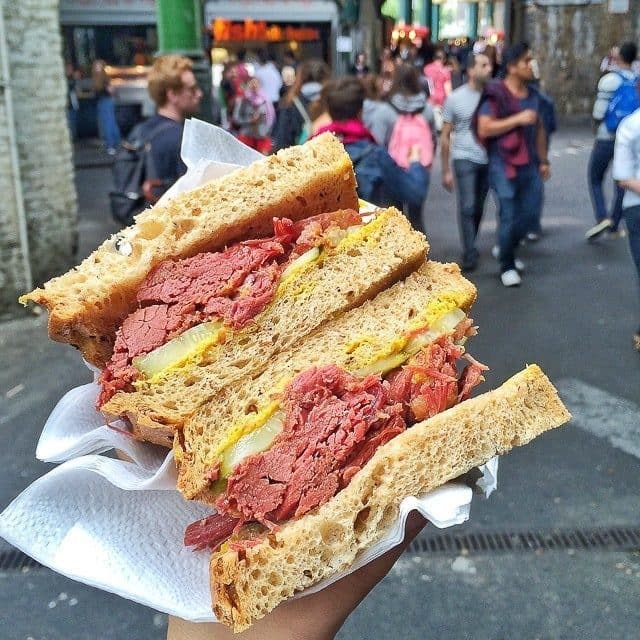 That salt beef sandwich looks insane. Such a fun trip! All these places looks SO DELISH! Wish I was in London!